What is SMILY and who is it for? 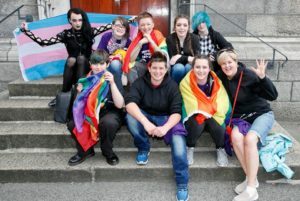 SMILY is a youth group in Sligo and Leitrim for young people aged between 14-23 years who identify as Lesbian, Gay, bisexual, Transgender (LGBT) or who are questioning their identity. SMILY aims to provide a safe and fun environment, where young LGBT people can be who they are or want to be, can socialise with like-minded people, in an accepting space, developing friendships, gaining knowledge through training , to become better equipped to challenge the inequalities faced by LGBT+ young people, to be a possible bringer of change to their own lives and the lives of others. What are the benifits of SMILY? Support with the “Coming Out” process. Giving LGBT young people a voice and action in leadership. Building stronger LGBT and Ally communities. Relationships are restored and strengthened. 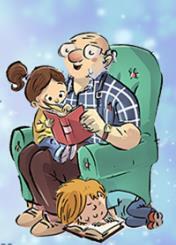 Parents are supported to support their young people. Realisation and appreciation that their child has not changed. Parents and professionals working with young people can contact the number below to find out about our referral pathways. SMILY meets once a week for 2 hours if you are interested in attending please feel free to get in touch.